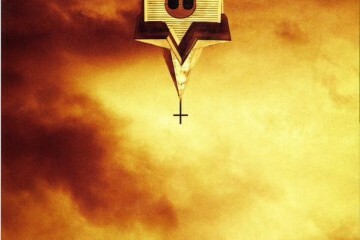 Not content to ride the success of The Walking Dead, AMC is bringing PREACHER to the small screen in May. 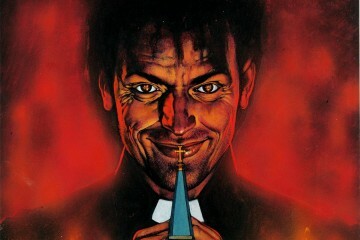 Written by Garth Ennis and drawn (mostly) by Steve Dillon PREACHER is one of the most controversial comics in history. Needless to say that this is going to be crazy. 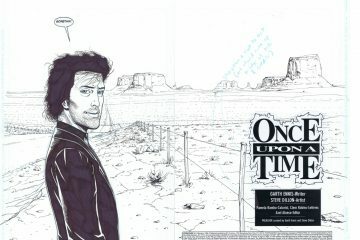 Press release is followed by teaser below. Let us know what you think in the comments! 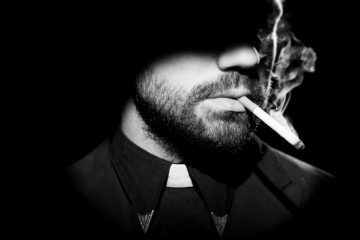 “Preacher” is a supernatural, twisted and darkly comedic drama that follows a West Texas preacher named Jesse Custer, who is inhabited by a mysterious entity that causes him to develop a highly unusual power. 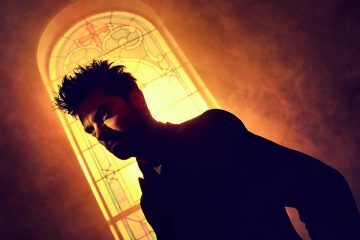 Jesse, his badass ex-girlfriend Tulip and an Irish vagabond named Cassidy come together and when they do, they are thrust into a crazy world populated by a cast of characters from Heaven, Hell and everywhere in between. 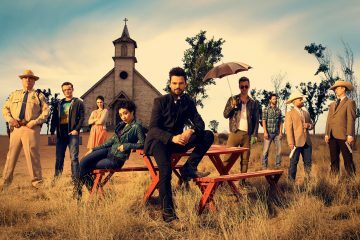 The series stars Dominic Cooper as Jesse Custer, Joseph Gilgun as Cassidy, Ruth Negga as Tulip, Lucy Griffiths as Emily, W. Earl Brown as Sherriff Root, Anatol Yusef as DeBlanc, Tom Brooke as Fiore, Derek Wilson as Donnie Schenck and Ian Colletti as Eugene/Arseface. Previous ArticleTHE GLORIOUS DRIVE RADIO TOP 10: WEEK 14! Next ArticleLISTEN: "WRESTLEMANIA 32 WAS JUST WEIRD"
WATCH THE FIRST FIVE MINUTES OF ‘PREACHER’…RIGHT…NOW!